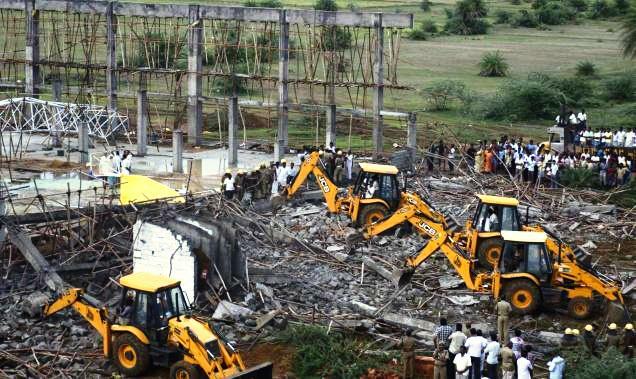 On 06.08.12, ten construction workers were killed, and several others, injured, when a 40-feet wall collapsed in an under-construction indoor basketball stadium at the Jeppiaar institute of technology, on the outskirts of Chennai. 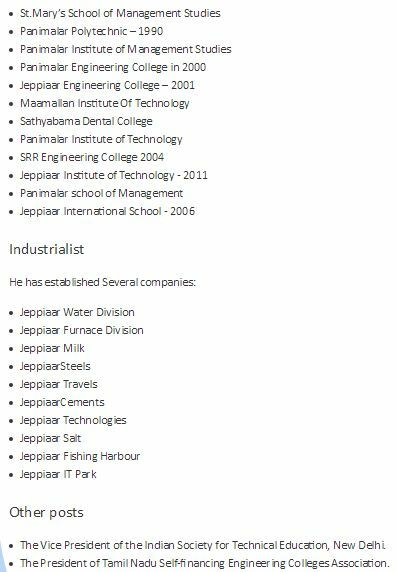 Jeppiaar, a school drop-out and “Father of Tamilnadu’s technical education” who ‘managed’ to ‘secure’ a doctorate, a law degree, an ‘M.A’ degree and a colonelship, was arrested and charged with culpable homicide not amounting to murder, since he was the founder-chairman of the institute, besides being its trustee. 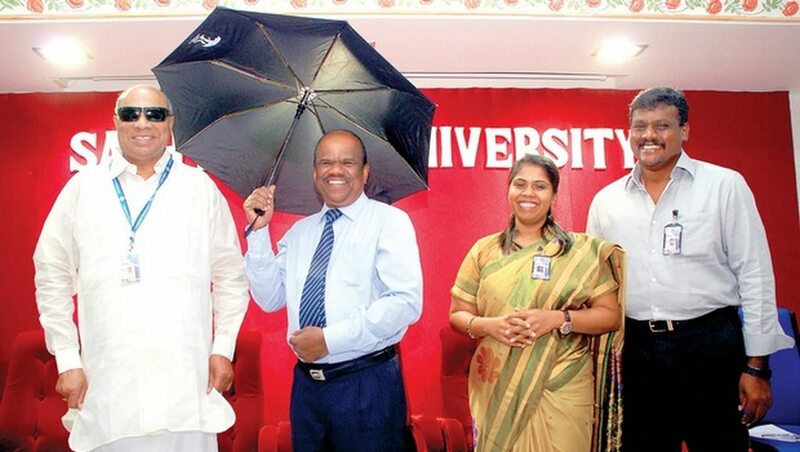 He is also the chancellor of Satyabama university, and runs a host of other technical institutes across the state. (A) That the Chairman Mr.Jeppiaar insisted that construction was to be completed expeditiously on or before 15th September, 2012 which is the first Annual Day of the College, and hence workers were forced to work day and night to construct an arch over some pillars, although the just-constructed pillars were wet and yet to cure. The curing time was supposed to be 10 days, but due to Jeppiaar’s pressure, the arch was raised on wet pillars, leading to the tragedy. This fact was disclosed during examination of the engineer and supervisor. (B) The second allegation was that the building was construction without approvals from the concerned municipal authority and as such was an unauthorised construction, and without even conducting soil tests. 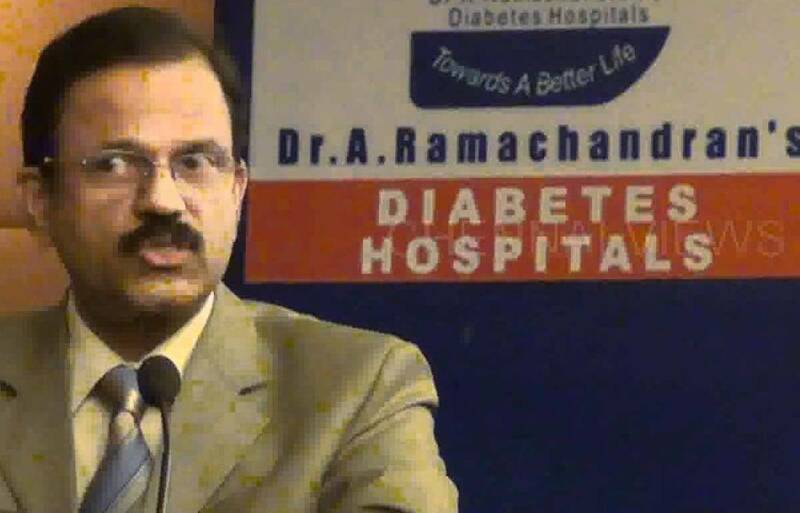 Immediately after the tragedy, Jeppiaar got admitted in a diabetic hospital, and when police went to arrest him, based on the examination of witnesses and co-accused, he was sought to be arrested, and the diabetologist declined to discharge him from hospital. So a magistrate was taken to the hospital to effect remand, and he was taken to Vellore Central prison, to prevent such tactics. Thereafter, he moved the Madras High Court and filed a petition for anticipatory bail. Judge Mr.Akbar Ali granted interim bail in what is shown to be an anticipatory bail petition on 21.8.12, provided Jeppiar deposits a sum of rupees 26 lakhs. After the deposit of money, the interim bail was made permanent, on 31.8.12. But the bail order was kept a secret by the Madras High Court and refused to be published. Even the fact of grant of bail was officially notified on its website only 3 years later on 6.1.15. However, within a few weeks, Jeppiar filed a petition to quash the entire FIR (First Information Report) against him, and this was filed by the President of the Madras High Court Advocates Association Paul Kanagaraj. Despite all the incriminating material against Jeppiar, in the form of confessions and statements of Jeppiar’s own son-in-law and the persons who were in-charge of the construction, judge Mr.Arumugaswamy, heavily relied on the 26 lakhs paid, and quashed the FIR in its entirety against Jeppiaar, within 3 months of the deaths. What is most interesting is the logic of Arumugaswamy. Firstly he relies verbatim on the bail order of Judge Akbar Ali quotes his order stating “Constructing building without approval does not make any change in the allegations made against the petitioner. The appropriate authority has to take action for such violation“. 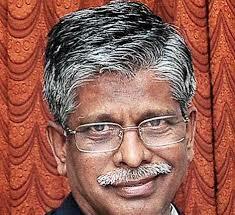 Thereafter Arumugaswamy claims that Jeppiar cannot be held vicariously liable and prosecuted. 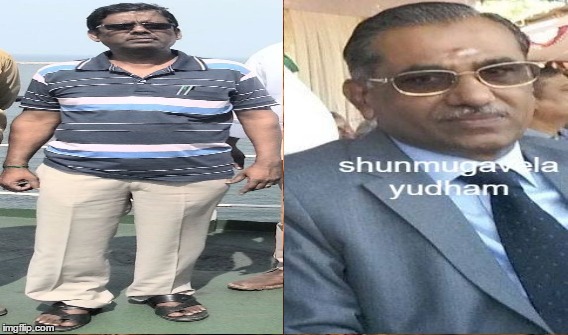 In the process, he misused, twisted and distorted not only a judgment of his fellow judge Mr.Nagamuthu vis-a-vis 138 NI Act, but also a judgment of the Supreme court pertaining to 500 IPC. Any fool worth his name would know that vicarious liability is alien to 304 (b) IPC. Yet another stated reason was that the age of Jeppiaar disqualified him from facing trial. 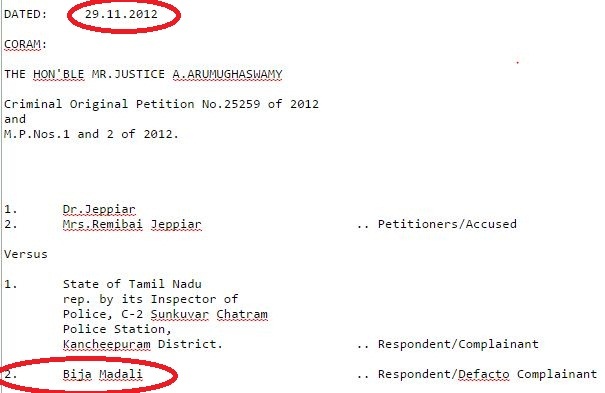 Significantly although the name of the complainant Bija Madali is shown as the 2nd respondent, he was never represented by a lawyer, and Arumugaswamy hastily quashed the case, without even affording him an opportunity to be represented by a lawyer, and if he is incapable of doing so, Arumugaswamy ought to have availed him the opportunity of a free legal aid counsel. (1) If FIR is not quashed, then the police might file a charge-sheet, in which case, the present petition to quash FIR would become redundant, and the entire process of filing a petition to would have to be done all over again to quash the charge-sheet. (2) By such time the portfolio of Arumugaswamy would change (which changes ever quarterly), and he would lose the opportunity of clearing Jeppiaar. 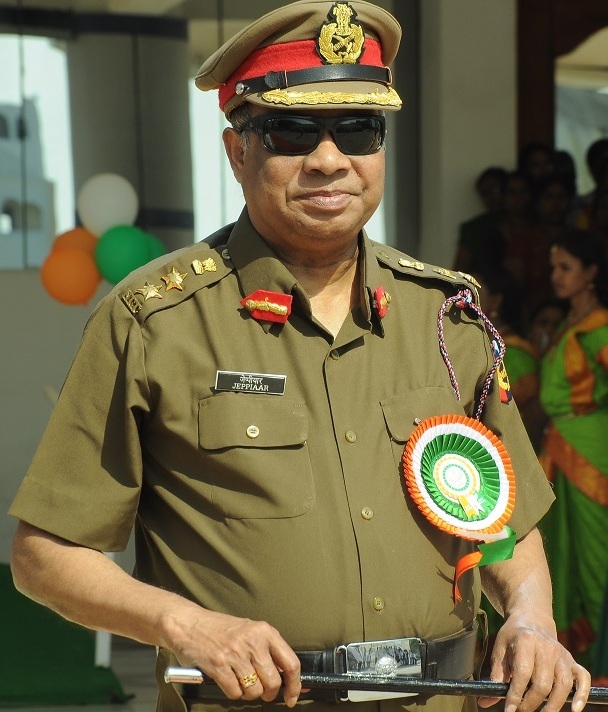 In all probability, the Prosecutor Mr.Thambidurai, as well as his boss Shunmugavelayutham, well well paid by the accused, so as to prevent the government of Tamilnadu from challenging Arumugaswamy’s order in the Supreme Court. 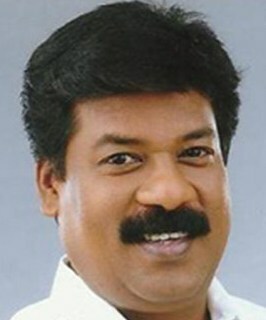 Shunmugavelayudham is known for celebrating birthday in his chamber, on the day when his boss Ms.Jayalalitha was convicted and sent to jail in the disproportionate assets case. Now, what Arumugaswamy has done is far more evil than saving Jeppiar. By forcing the police to act on the other accused such as the masons and building staff, he is subjecting these daily-wagers to prosecution, for something that they were forced to do by Jeppiar. In all probability, because of their poverty the trial judge would convict and send them to jail. This is how the rich distort the judiciary, and how the judiciary makes the poor to suffer for their innocence. 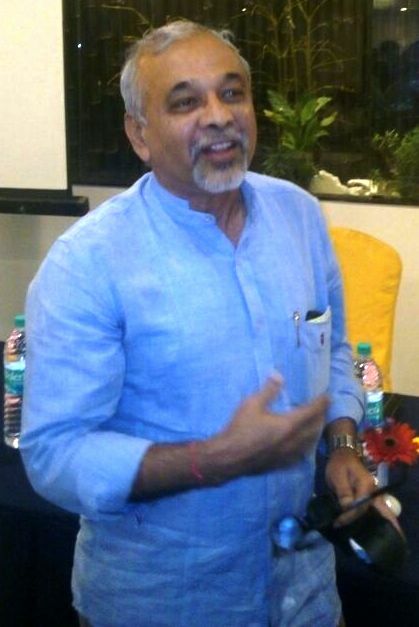 COMING NEXT – HOW JEPPIAR RULED THE MADRAS HIGH COURT FOR 3 DECADES ? How Markandey Katju tamed Jeppiar ?